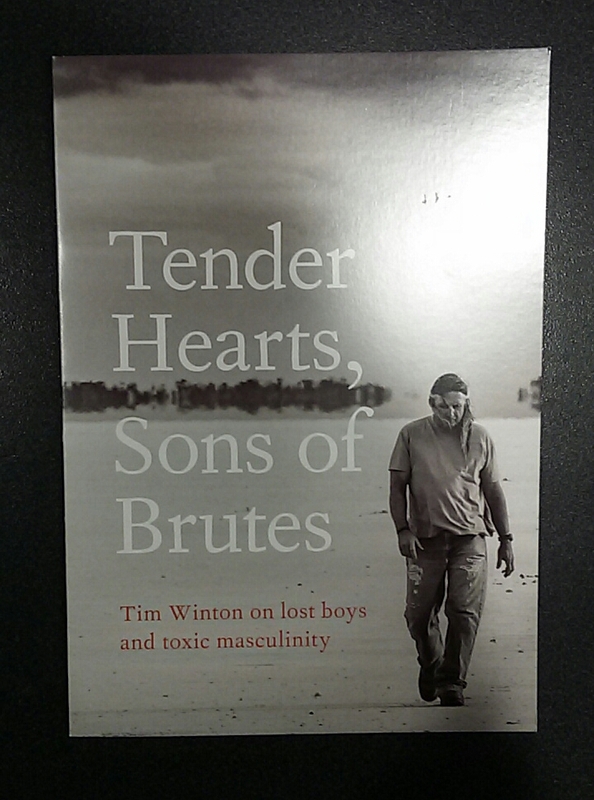 Tim Winton gave a talk at the Adelaide Convention Centre last night – Tender Hearts, Sons of Brutes – as part of his tour to promote his latest book. The place was packed. 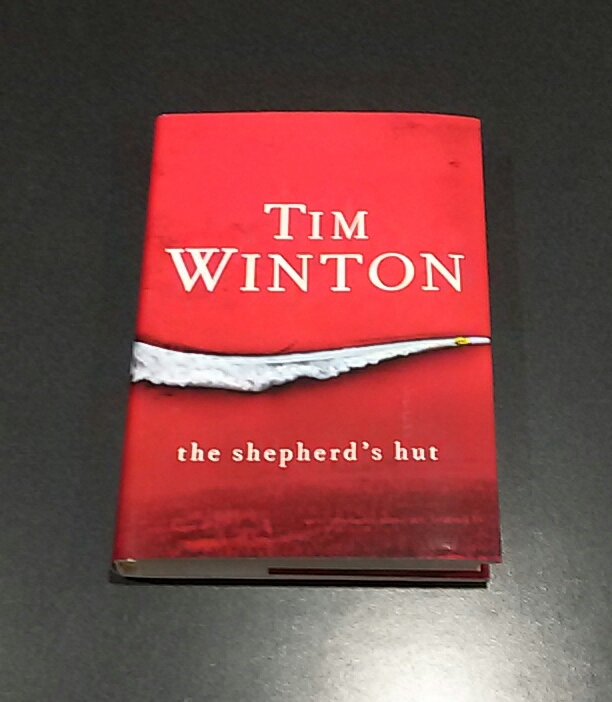 Winton is an iconic Australian author. I remember when we first moved here, I wanted to immerse myself in Australian culture and literature, and was promptly pointed in his direction. I started with Cloudstreet and have never looked back. In 2007, he was named a Living Treasure by the National Trust and has won the Miles Franklin Award four times. I think we forget or simply don’t notice the ways in which men, too, are shackled by misogyny. It narrows their lives. Distorts them. And that sort of damage radiates; it travels, just as trauma is embedded and travels through families. Winton opened the session with an extract from the book speaking as Jaxie, explaining how he now knows what he wants but has ‘been through fire to get here’. 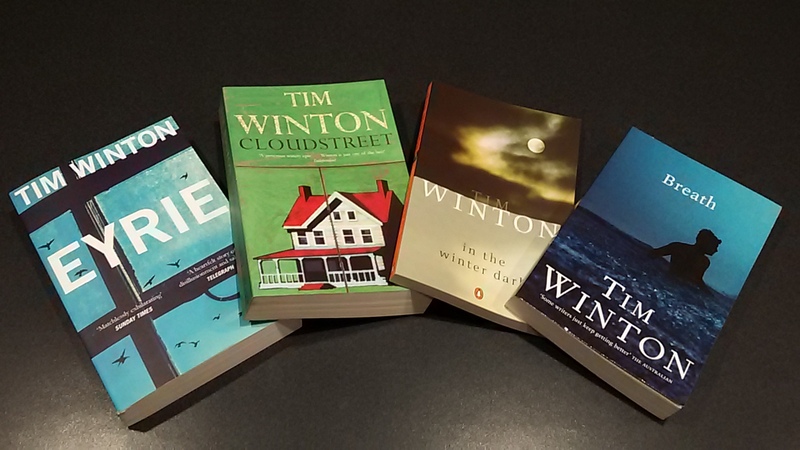 For Winton, a novel is not a tool but a toy; something to explore with curiosity because ‘useless stuff resonates, experiences linger’ – ‘useless beauty’ is why he writes. He’d planned to write the story from three or four people’s perspectives, but it didn’t work because all he could hear was the voice of the ‘unlovely boy’ and so gave him the floor. Having read only six of his twenty-nine books (Dirt Music and Minimum of Two I borrowed from friends), I still have some reading to do. His writing is inspirational with a focus on landscape and place (his novel In the Winter Dark spurred me to write a poem called ‘primordial’ I’m rather proud of and is currently finding a home). and was humble, describing himself as ‘just a storyteller’, a brilliantly iconic one at that.